!! 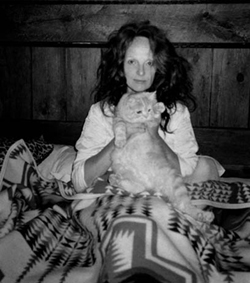 OMG, Kitty Cat Vogue !! 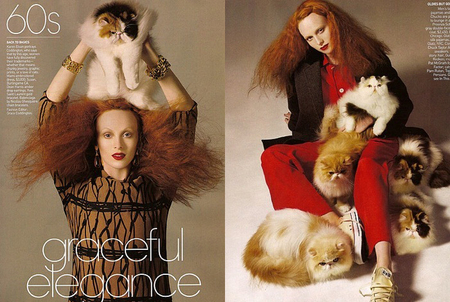 Model Karen Elson was photographed by Steven Meisel for Vogue with some squishy-faced kitters. Pretty Pretty and Pretty! 1 Comment on "OMG, Kitty Cat Vogue"
Cute kitties… But I may be biased; I think the June Italian Vogue spread of Linda Evangelista with a bunch of pugs are even cuter!